We are looking back to a great great year of 2017, with lots of fun and windy Camps, even more great people to share some awsome moments with, lots of travelling, coaching, learning, sailing, SUPing and Biking... we will remember this year and we hope so will you !! It would be great to see all of you again in the near future... don´t forget to check for our 2018 Camps !!! 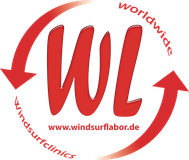 We are happy to announce that the WSL Team is three now. Dana Moana Brendt, Yoli´s and Tom´s first daughter has been born July 13th and all three of them are doing just really well and are looking forward to see all of you in the near future !!! 2017 Dates now online !! After a really superb 2016, amazing Camps, super conditions and even better guests, we are happy to announce our Dates for 2017 and hope we will see you at one of our Camps, wherever and whenever you like !! 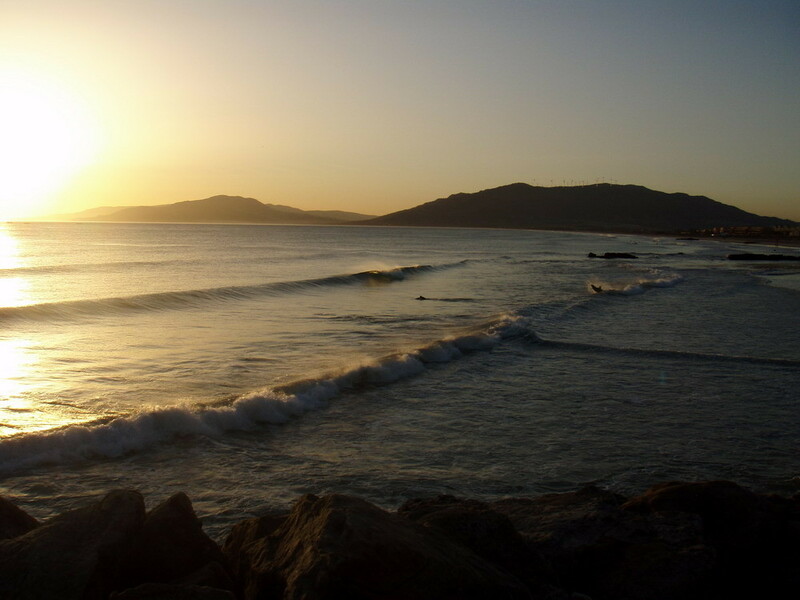 For the first time WSL Camps will hold a Camp at the italian beauty of Sardinia. 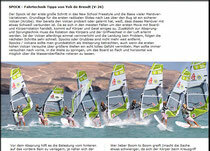 Don´t forget to check your images, Fotos of all our Camps in our Foto Section of this site !!! Enjoy and be in there next year... don´t miss your chance !! We can proudly look back to a great Camp year 2016, visiting the same amazing places, meeting lots of new guests and had lots of fun and good times on and off the water together... Thanks to all of you for visiting us, being part of our Camps and make those unique times possible !! we hope to see you again in the near future !!! We will be back in MOULAY again in 2014 for our second Wave Special !!! 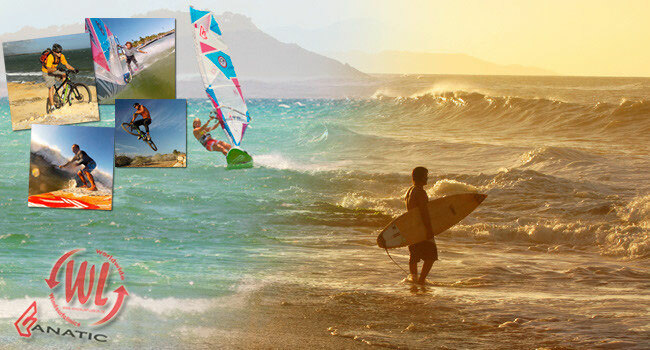 Between the 10th and 15th of September 2014 we will be on morroccon waters, shredding some waves, Wavesailing, SUPing and Surfing at the Magic Fun Center, a Fanatic Boarderscenter. Check for more Info and join us for another great week !! Just contact us for dates and prices !!! We are waitng for you !! Another edition of our Wave Specials in Moulay Bouzerktoun - Morocco is over and for the first time the wind didn´t play game as we wished to, but we can look back to a great week at this Magic WaveSpot in the North of Essaouira. Instead of Windsurfing, Wavesailing from morning until darkness we could learn and improve Surf and SUP skills, learn to read the waves and the ocean and play on hills and mountains of water. Our night program took place mostly in the beautiful Medina of Essaouira and a nice Couscous night at the Magic Fun Windsurfcenter Moulay, a Fanatic"The Boarderscenter". 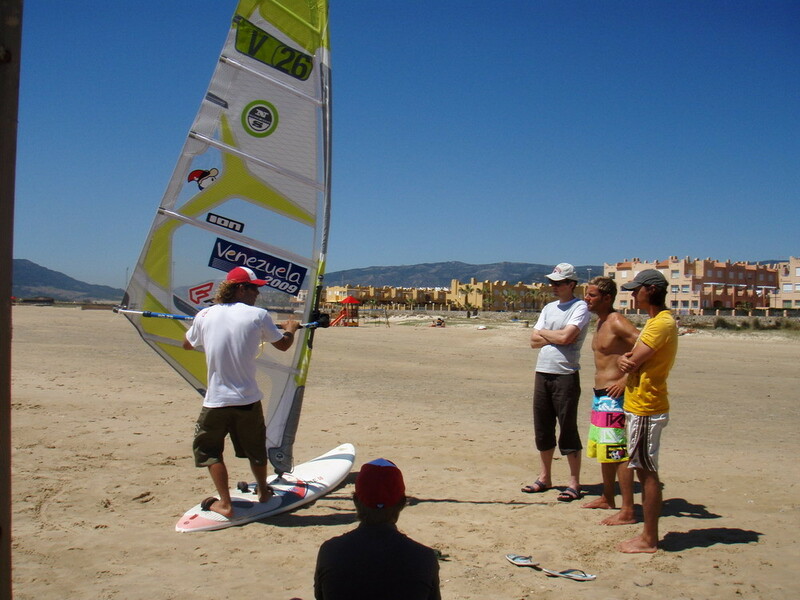 We will be back in Moulay in September 2012 for Wave Special number two in 2012. It has been our first Fanatic Pro Camp in 2012, the El Yaque FPC at Planetallsports at El Yaque Beach. Right for our Camp the weather situation in the Caribbean stabilized and for exactly six days we got served with finest winds and pure sunshine. 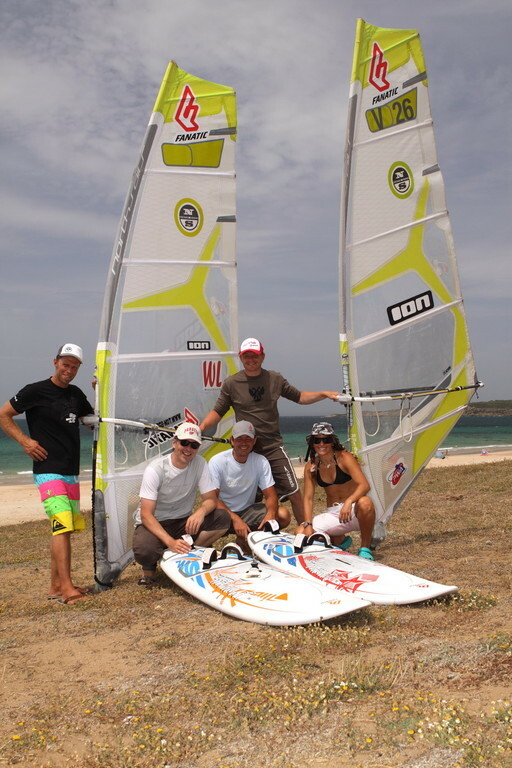 Our super nice guests who had come to the Caribbean Island of Margarita to improve their personal Windsurfing Skills, did the rest for a great start into our 2012 FPC Season. 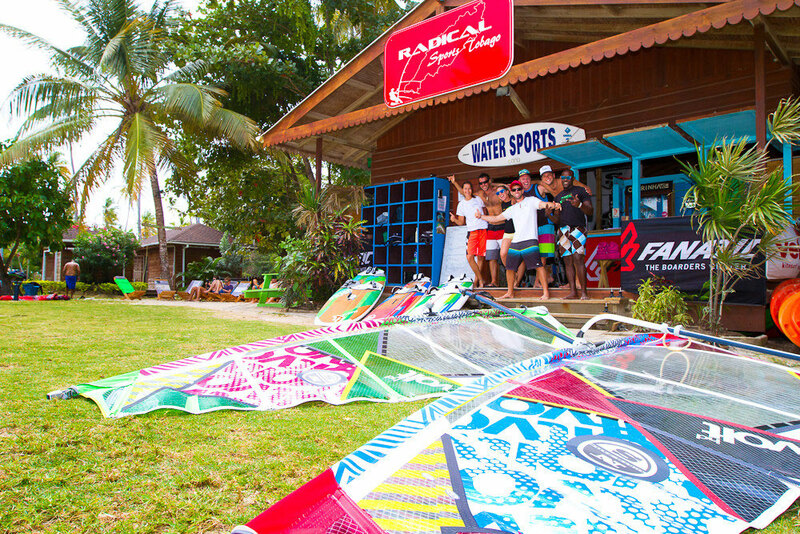 For the eleventh year we hold our Windsurf Camps at El Yaque Beach and windwise it was certainly one of the best, so enough time on the water was given for a lot of practise sessions, but also theory, simulator training, video analisis and photoshoots didn´t come too short. To crown our perfect days we met for some nice Happy Hours at various El Yaque Beach Bars, some very nice Dinners and our great BBQ at the new Planet Allsports "Sandbar", a great place to celebrate our Camp while watching the sundown and to party afterwards. Now online - the new Dates for 2011 !! Check for your Fanatic Pro Camp, there should be some for everybody, including some nice new Destinations plus a new Cooperation Partner !! Yoli de Brendt becomes vice Worldchampion !! 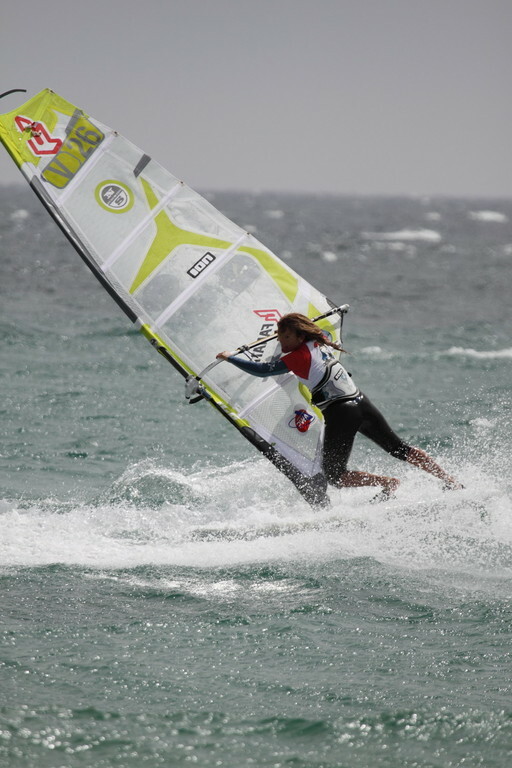 Windsurflabor Coach Yoli de Brendt just managed to finish the 2010 PWA Freesytel Worldcup at Lanzarote on second place and is 2010 vice Freestyle Worldchampion !!!! 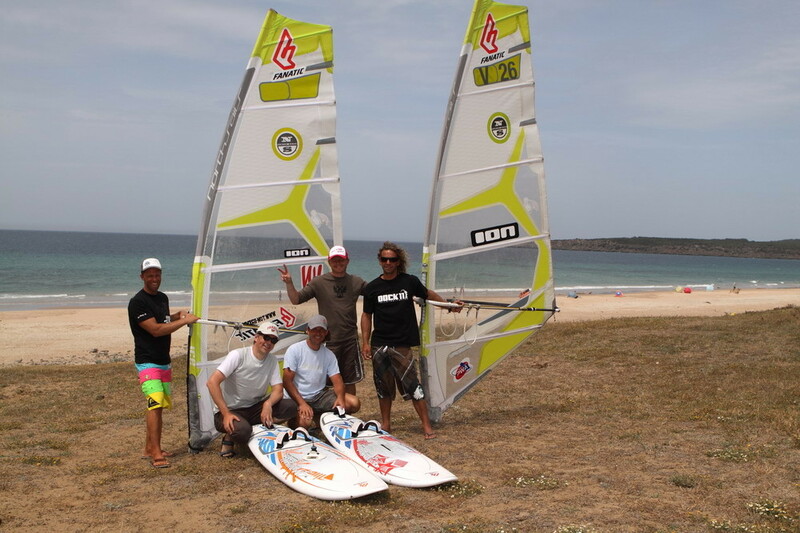 In the year 2009 the windsurflabor.de Windsurf clinics started to search some new destinations for the 2010 Fanatic Pro Camps and decided to organize the first Lanzarote Carve and Ride Event at the CNS, a Fanatic “The Boarderscenter”, Costa Teguise. Now, that the one week Event has just finished it is clear that Lanzarote will be a permanent Fanatic Pro Camp Destination. 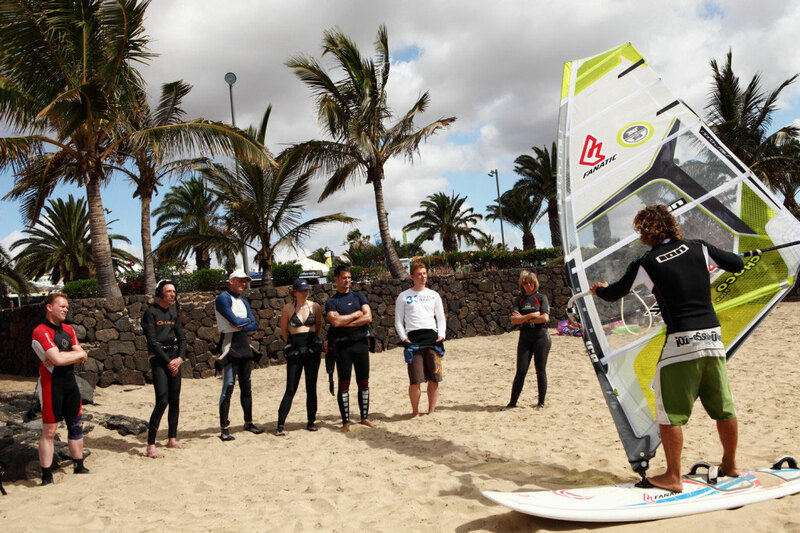 It was not only the beauty of the Canarian Island and the great variety of Lanzarote´s World Cup Spot, which offers Flat and Choppy water same as Waves, especially the CNS Team around Laurent, Russel, Marie and Charly made the week a very unforgettable one for the entire group. With great Equipment the swiss, dutch and polish students started the Clinic week in Lanzarote´s Waves to improve their sailing, learn from Duckjibes up to Forward Loops, before a no wind day gave the chance to explore the Island with its Volcanos and Vineyards and for a nice Surf Session at the Beach of Famara, a great day to recover for the second windy half of the week and for some first complete forward loop rotations, Jibes and Duckjibes. 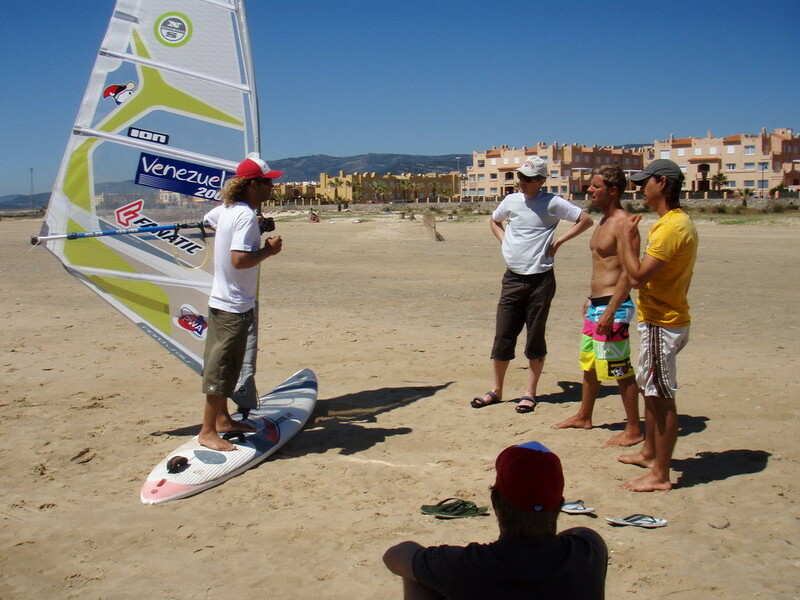 The date for the 2011 Lanzarote Fanatic Pro Camp will be announced shortly. Between the 28th of April and the 03rd of May our second Edition of the “Wave Special” at the Magic Fun Afrika, a Fanatic ”The Boarderscenter” , was held at one of Morocco´s Top Wave Spots : Moulay Bouzerktoun. Coach Tom Brendt and Center Manager Bruno welcomed participants from Spain, Holland, Norway, Denmark, Belgium and Poland for a great week. 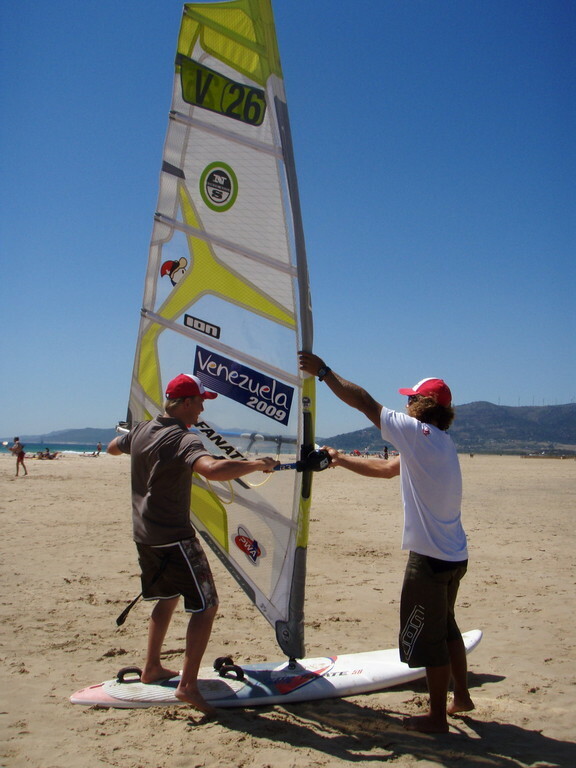 The Goal of the Wave Special has been to teach anything about Waves and Waveriding, get Flatwater Windsurfers safely into the waves and their first Bottom Turns and Cut Backs and the more Wave experienced into the Air and onto better Waves for longer and more enjoyable rides, was more than achieved. The Spot showed his really best side throughout the entire week, with nice sets of waves rolling in the first day for Stand Up Paddle and Surf, more Waves and Windspeeds for the 4,7 and 4,2 Sails all following days, also helped perfectly. A Couscous Night Moroccon Style at the Café Resto and some nice Dinners in Essaouira let the Wave Special Moulay be a more than just good Event. 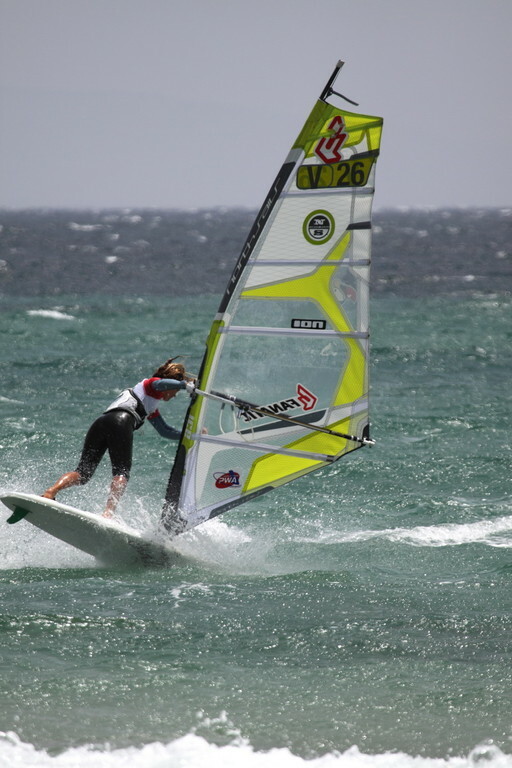 For the 8th time the Windsurflabor.de organized a Windsurf Clinic a tone of worlds Freestyle and Slalom Top Spots, in El Yaque at the Island of Margarita in Venezuela. Not only Cooperation Partner Planet Allsports helped by providing their Windsurf Centers and brandnew Fanatic and North Sails equipment, also the Restaurants Atti, Oasis, Fuerza 6 and Da Rocco, who served some delicious dinners for the group, the students, who arrived from the United States, Germany, Switzerland and Poland and throughout the entire week showed an immense Motivation to improve their Windsurfskills and last but not least, the windgods, which made the wind blow every single day for the 4,7 and 4,2 sails, to make this Fanatic Pro Camp 2010 a great and successful Event. The Jibe group and the Freestyle group got 4 – 5 hours of sailing each day including the tuiton and the students took their chances to improve their Jibes and Stance and to learn and understand the Forward Loop, Airjibes and Flakas, good themes to talk about at the daily Happy Hour and the following Dinner. The Event finished the 08th of February at the Planet Allsports Center, where the Sun and Fun Sportsclub organized a happy hour followed by the Event Video Clip and the 4 Dimension Movie presentation. 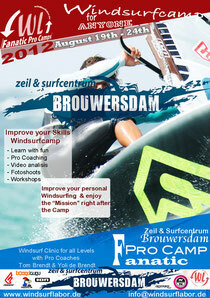 The IMPROVE & MOVE Clinic at the BIG BLUE Windsurf Center is over. We would like to thank all our participants, who came from Russia, Israel, Germany, Spain, Switzerland and the US to join our Clinic at Psalidis in Greece. The Fanatic "The Baorderscenter" once again provided us with the latest North and Fanatic Gear to have a great time on the water. Also thanx to Spiros and his Team from the Big Blue Surf Center for all their Support and the Hotel Okeanis. 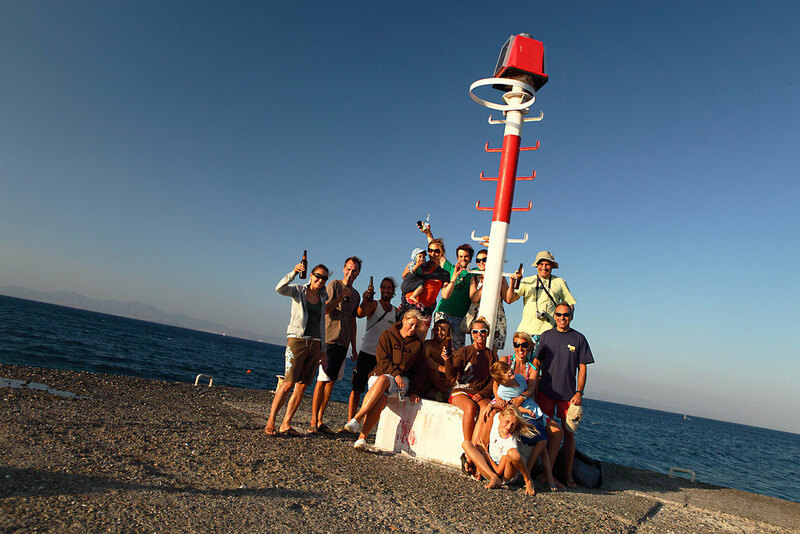 In the past six days we really had some great times on and off the water and lots of Fun, also during our Dinners in the greek and italian Restaurant and the turkish Village close to KOS City. 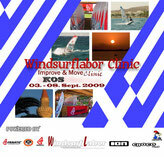 The Schedule for the 2010 Windsurflabor Events will be online by the end of the month. 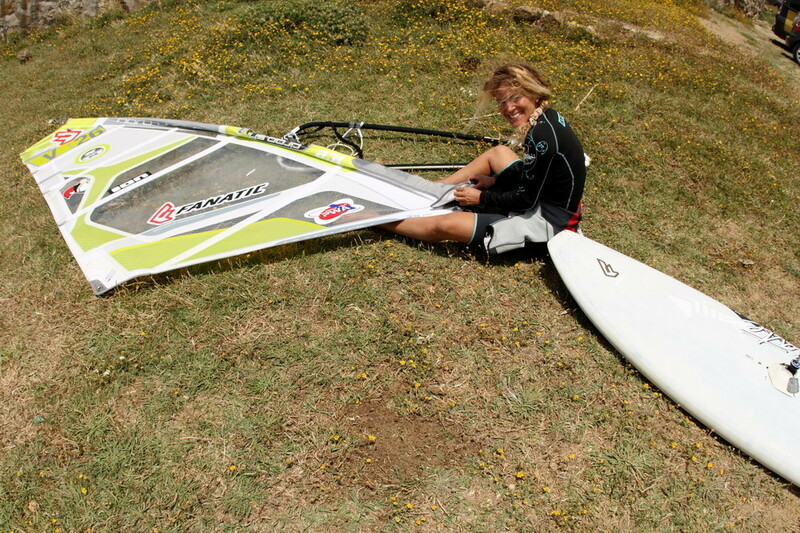 8 days with good winds and two nice Spots with Matas Blancas and Costa Calma in the south of Fuerteventura. 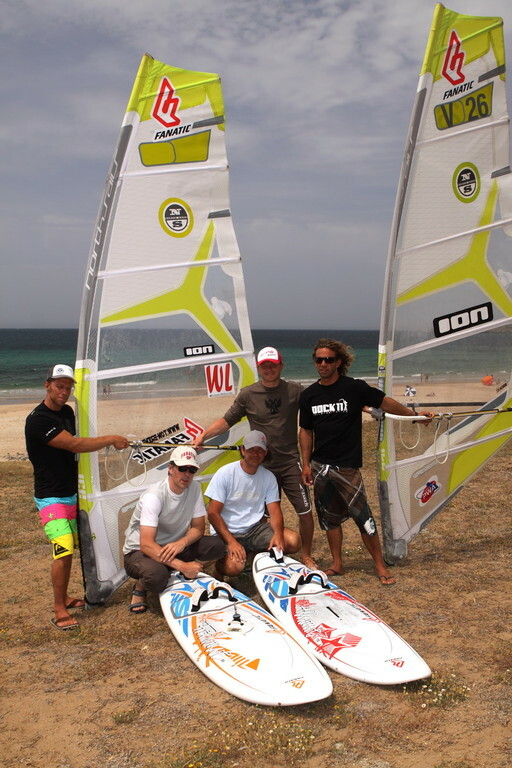 This was our 2009 Fuerteventura Freestylecamp between the 03rd and 10th of august. It has been a pleasure to teach the morning group for Jibes and Jibe variations and the afternoon Freestyle group. Thanx to all participants for listening through the theory units and for having fun with us on the water !! !